African club football enters a new, experimental phase this week with matches in the Champions League and Confederation Cup being played in midweek for the first time. The Confederation of African Football has acceded to requests for a change from its long-standing tradition of playing on weekends. Matches in both the annual club competitions will be played on Tuesday and Wednesday as the Champions League and Confederation Cup reach the third round, second leg stage. Asked for the reasons for the change, Caf's director of communications Junior Binyam said: "As you have observed even some national team games have already been programmed midweek. "The decision was taken upon the request of some member associations who were saying that due to the scheduling of the inter clubs competition, they were left with less dates to host matches in local competition." Hosting continental club competition games in midweek will bring Africa in line with the rest of football world. Asia, the Concacaf region, Europe and South America all host their Champions League games in midweek but Africa has long favoured the weekend because of a lack of floodlight facilities and the complexities of travel on the continent. But infrastructure development over the last two decades means there are now hardly any countries without the ability to play night games. Travel remains burdensome but more connections means destinations can be reached quicker and teams can get in and out of away venues faster in order to return home in time for domestic commitments. Many major leagues, like Tunisia and Morocco, have long held a strict policy for forcing clubs participating in weekend African club competition matches to play their postponed home fixtures within days of returning. But others, like Angola and Egypt, have allowed more flexibility which has seen their league campaigns become disjointed with a myriad of postponed matches. 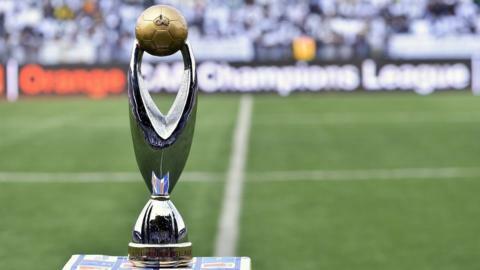 Another first for Caf next week will be the hosting of the draw for the fourth round of the Confederation Cup immediately after the completion of the third round. The eight winners of the third round ties plus the eight losers from the Champions League third round ties go into the pot for Thursday's draw in Cairo - less than 24 hours after the completion of the previous round. Never before has Caf moved so quickly to determine the pairings for the next stage of one of its club competitions. The eight clubs who qualify for the Champions League must wait, however, until 24 May for their draw and to find out who they paired with in the group phase of the competition. That is when the Confederation Cup group phase will also be drawn, once the fourth round games are done. Both draws will be at the Caf headquarters on the outskirts of Cairo.